And run a Church's across the street out of business. When I talked to District Attorney John Creuzot in November—he was the DA-elect then—I had no idea his family’s ties to Frenchy’s Chicken. 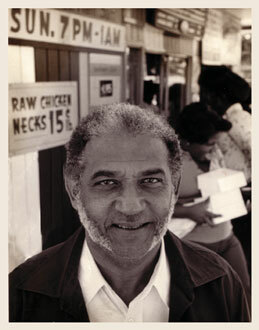 I learned later that the Houston-based joint was founded by Creuzot’s father, Percy, who pulled influence from the family’s New Orleans roots. What started as a stop for po’ boys really took off with the addition of fried chicken, plus creole favorites like dirty rice and jambalaya. So says the company’s About section. 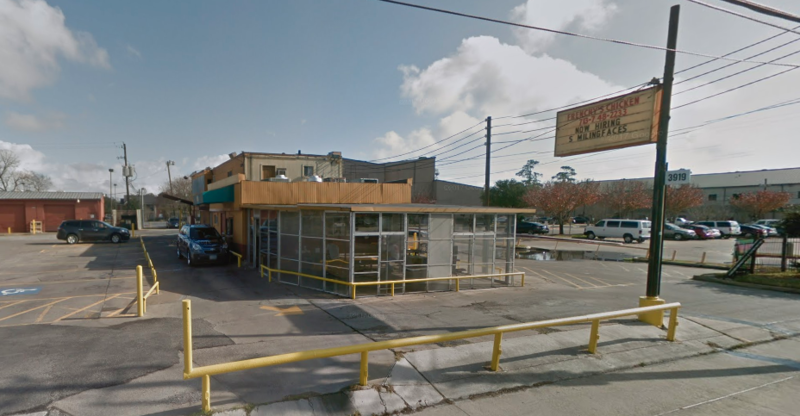 Your dad started Frenchy’s Chicken in Houston when you were a kid. What memories do you have from that period? At first we didn’t have chicken. We had po’ boy sandwiches. Shortly after we opened, the idea of selling fried chicken came up, and we developed a breading, a mixture of spices to put in the flour, and it just became a big hit. I remember being there when we made $10 a day; we thought we made a lot of money. And then when we made $25 a day, and $50 a day, and now it’s a multimillion-dollar business. Houston was still fairly segregated. You didn’t have Burger Kings and things like that. There wasn’t a Popeyes. We had a Church’s Chicken across the street, and we basically ran them out of business. It was a different era, and a successful African-American-run business was a rarity, especially a restaurant. 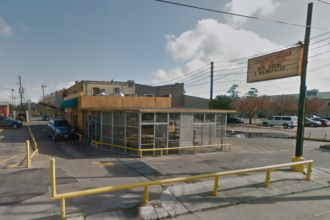 It helped being situated between two major universities, which was Texas Southern University and the University of Houston. University of Houston had a single dorm for the athletes and they had a PA system, and we would actually box up chicken, two or three pieces plus french fries. We would go to the dorms at 10:30, 11. Those guys were still hungry. They would come down and buy food from us. As a small, fledgling business, we went to apartment complexes and put flyers on doors and windshields, kind of grassroots business development. Sounds like it was a family affair. When it first started, it was my dad, my cousin, and I. My dad is deceased, my cousin is retired, and I live in Dallas. So, my brother owns it with another friend now. My mother runs it; she’s 91 and she’s probably there right now. She lives by herself, she drives herself, and she goes to work every day. It’s still a family-run business in the true sense of that term. How old were you when it started? Twelve. I was cutting grass and doing stuff before that. We’re workers. We never had a lot of money, really. As the business did better, we had access to money. But I remember as a child, my family didn’t always pay the electricity bill or the phone bill. Things got cut off. We had to scrape some money together. When we lived in New Orleans, my mother used to go to the horse track, and she got pretty good at picking the winners. Often there were times when we got the electricity money or the grocery money from the track. I kind of grew up around the race tracks in New Orleans. We went there so much to supplement the income. Did you eat a lot of Frenchy’s? I have and I still do. I’d probably get two pieces of chicken, and red beans and rice.